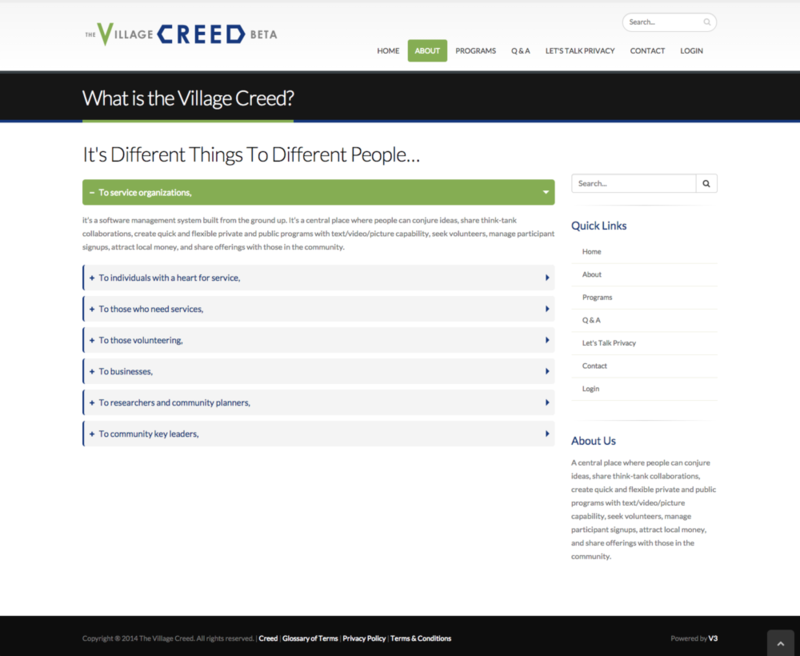 Logo design and website design for The Village Creed. 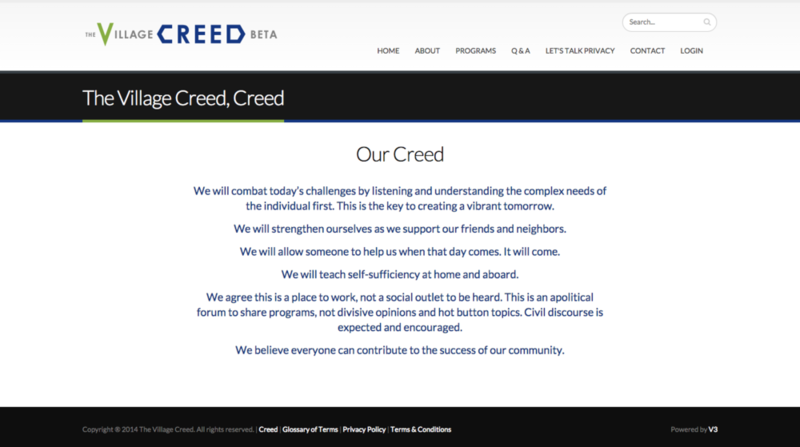 The Village Creed is a service organization by the community and for the community of Lee county in Alabama. 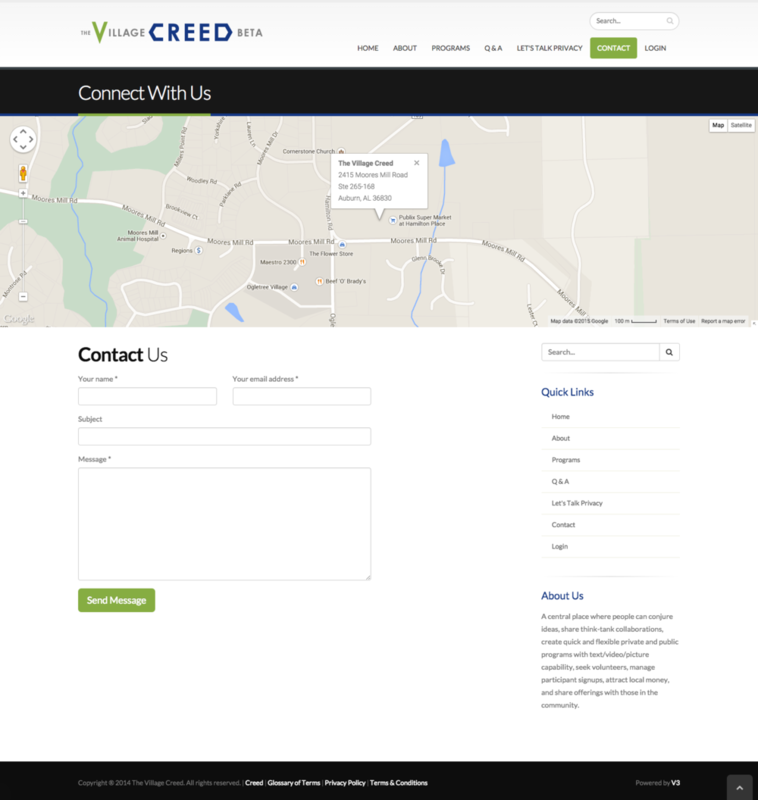 Its interface allows users to create "programs" and participate in programs for the betterment of the community. The members come together as a hive, where there is a job and a place for every individual.